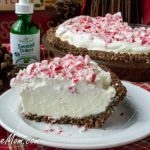 This incredibly Easy Sugar-Free Low Carb Peppermint Cheesecake Pie is a no bake sensation and will be your favorite dessert to make for the holidays with family and friends! If you’re a lover of cheesecake, is there anything better than enjoying a creamy slice? 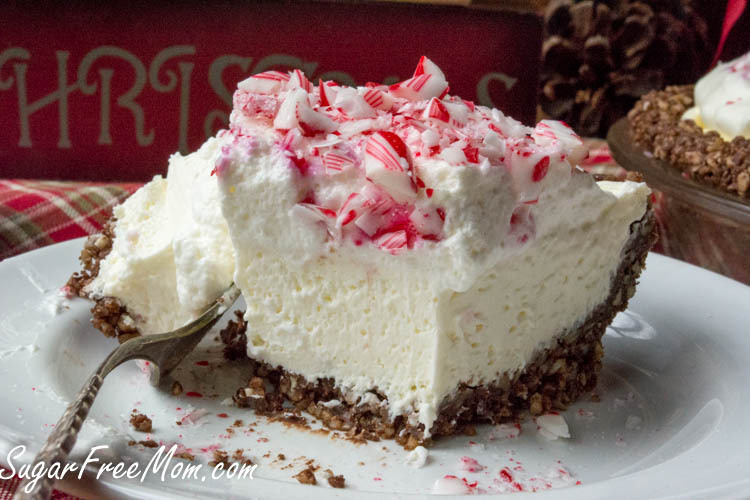 Only one that is No Bake, Sugar Free, Gluten Free, Low Carb and takes like Christmas in pie form! 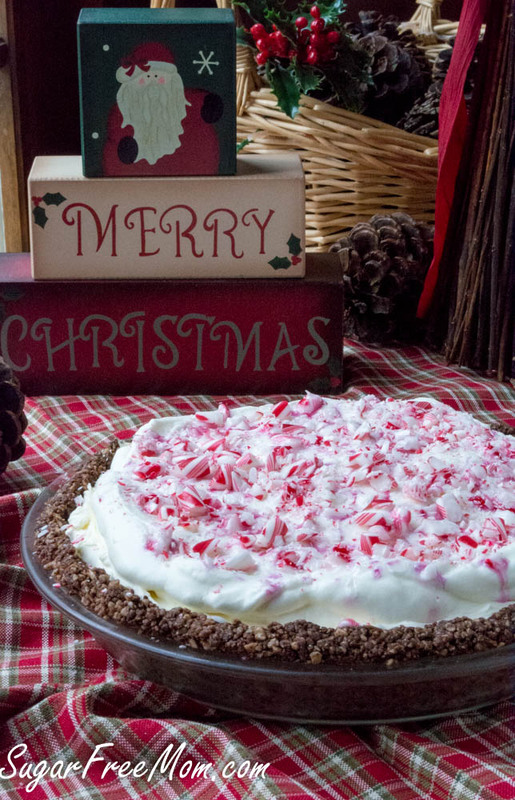 This No Bake pie takes very little time in the kitchen and is just in time for Christmas! 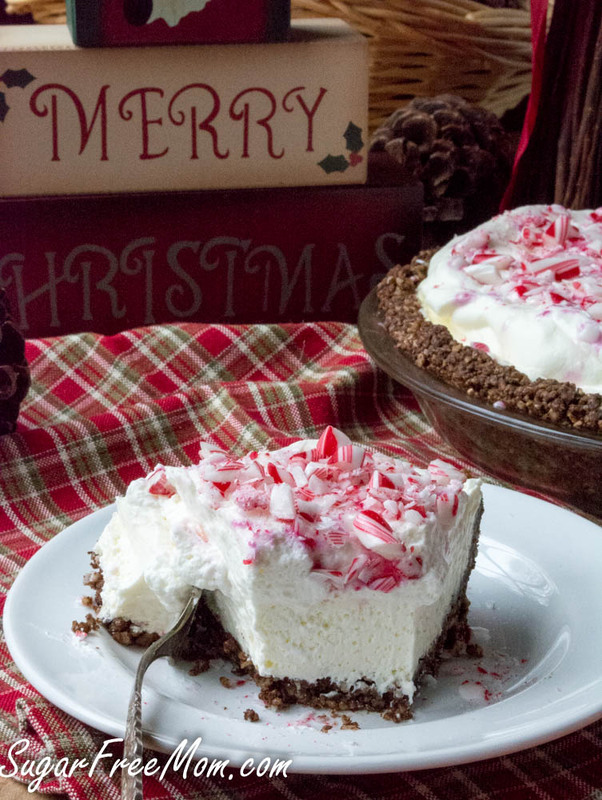 I love cookies for the Holidays and gift giving of course, but we all know when it comes to Christmas parties, desserts like this pie are what people gravitate to. Check out my easy recipe video! It’s festive and decorative with cracked candy canes on top and it screams the holidays to me. 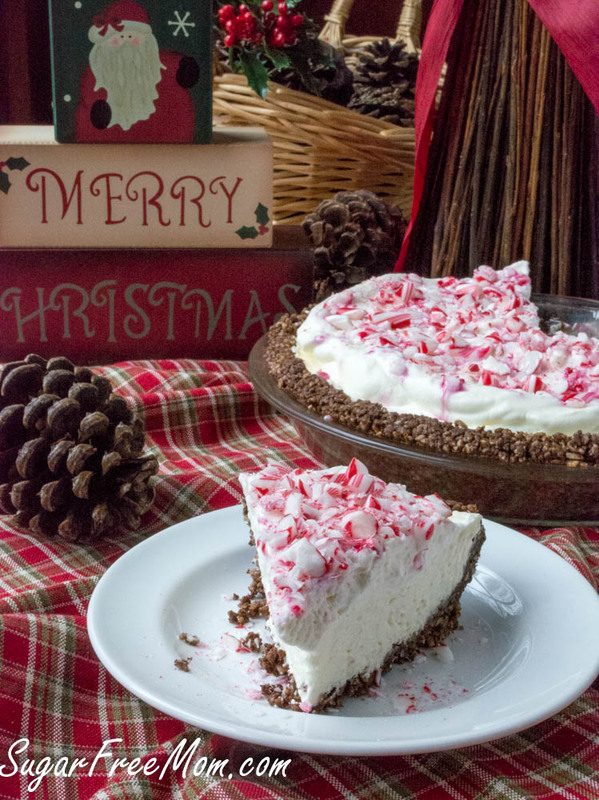 The great thing about this pie is that you can easily adapt it to how much or how little peppermint you’d like to use. And the same goes for the sweetness. Always add the small amount I recommend then taste and adjust. If you’re worried about it being too sweet, since I do have a well known sweet tooth, reduce the amount I’ve suggested then taste again and adjust. The crust is a nut free option as my youngest has a tree nut allergy. Using almonds in place of the sunflowers I’ve used is a fine substitution. 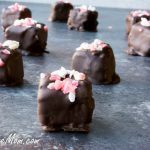 *Recipe first published December of 2016. 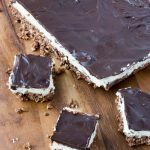 Prepare the no-bake crust by placing all ingredients into a food processor. Process until the mix is a fine crumb consistency. Taste the crust and add more sweetener, as needed. Spread into a 9-inch pie dish. Set aside. Place all filling ingredients, except heavy cream, into a stand mixer and blend on high until smooth. Taste and add more stevia as needed. Pour in heavy cream and blend on high until all is incorporated and whipped in texture. Spread this over the pie crust. 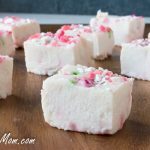 Add all topping ingredients into stand mixer, except crushed candy canes, if using. Blend on high until whipped. Taste and adjust stevia, if needed. Spread this over the cheesecake filling. Refrigerate pie for 3-4 hours or overnight. 1.Almond meal may be substituted for sunflower seeds in the crust, barring nut allergy issues. 2.If fat is a concern, simply swap the regular cream cheese for a reduced-fat option. 3.There are naturally occurring sugars in dairy products. 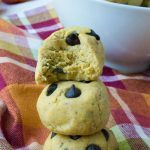 While there are no added sugars in this recipe, the 1.1 grams of sugar per serving are from the dairy products used. Brenda I am so excited to make this. Peppermint is probably my favorite flavor. However I do have one question: I’ve never seen sugar free candycanes before. Where might I find these? Thank you. I’ve only seen them online through Amazon. 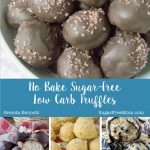 There are some natural kinds with few ingredients and no artificial colors at Whole Foods, but they do still have sugar. Unfortunately the ones online were not on Prime, so it takes some time to get them. Thank you for the info Carolyn! I will keep an eye out for these. I would think that since they are crushed up anyway sugar free pepermint candies would work as well. I think i got ours at Walmart. I’ve only found them online through Amazon. 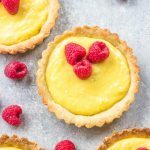 The recipe page states 1 cup of cream for the filling & 1/2 cup cream for the topping. The video completely leaves out the adding of the whipped cream to the filling & a the video doubles the amount cream for the topping. 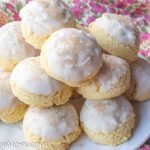 I’m assuming I can use the video recipe for a more dense texture & the actual recipe on the sweetleaf website for a more fluffy texture. Can you please clarify? I meant heavy cream not whipped cream going into the filling. The video doesn’t leave out the heavy cream in the filling, it’s stated in words when I’m filling the pie, but doesn’t show me pouring it in the video. 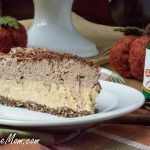 I changed the whipped topping amount as it was too much I felt the first time I made it for the video and adapted the amount for the recipe on the Sweetleaf website. You can certainly make more topping if you feel it’s needed. I don’t want to spend $10-15 on the liquid peppermint stevia. 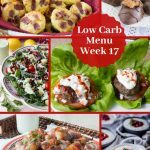 Can I substitute the regular liquid stevia? It still gets the peppermint flavor from the extract, right? iherb.com has many of the liquid stevias and my discount code is YAJ035. You could use more peppermint extract and plain stevia though. 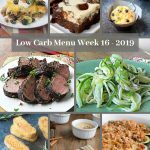 Your ingredients and printed recipe isn’t included in this post??? 17.5 grams of saturated fat. That’s six times more than you should have in one day. It’s incredibly unhealthy though sounds so good. Actually when fat is combined with carbohydrates and sugar that is a deadly combination, but when the carbs and sugar are greatly reduced, fat is not unhealthy for your body. More and more studies are showing that fat does not make you fat it is the carbs and sugar that does. What holds the crust together? Do you bake it first? The butter is enough to keep it together and it must stay in the fridge as it’s cheesecake so that keeps it together fine. Hi! Would it make a difference if you used Swerve granular vs Swerve Confectioners? ?